Minimum stay usually 7 nights with changeover day Friday. 20% deposit on booking; balance due 8 weeks before arrival date. Payment accepted by bank transfer or cheque. Additional charge of £10 per week for a dog. Please note that we require a £50 holiday bond deposit, in addition to your payment. 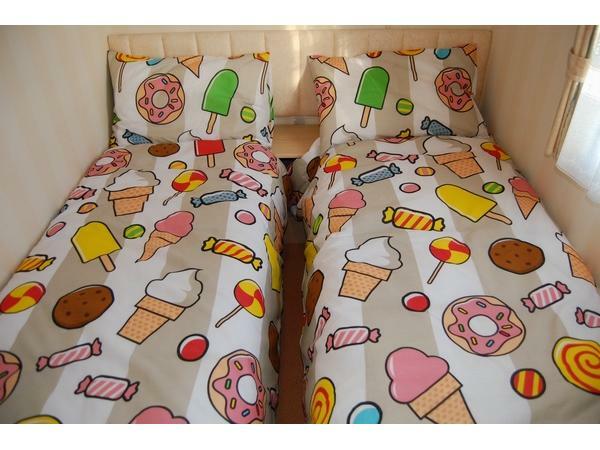 This will be refunded in full to your bank account after your holiday, as long as the caravan is left clean and tidy on departure (no excessive cleaning required, no damage, no evidence of smoking etc). Please include number of guests, ages of children and dog breed/size with your enquiry. WE AIM TO RESPOND WITHIN 2HRS. IF YOU HAVE NOT HEARD FROM US IN THIS TIME, PLEASE SEND A BRIEF TEXT MESSAGE OR TELEPHONE. 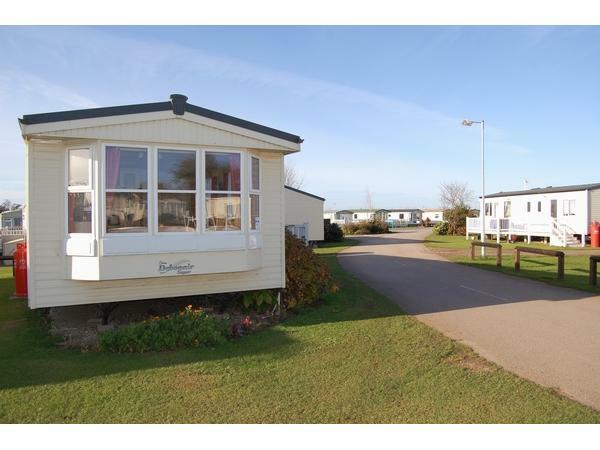 Hunny Dunes occupies a lovely position, with no other caravans immediately adjacent on two sides, so feels spacious and private. Only five minutes' walk to the park facilities, which include indoor and outdoor swimming pools (subject to seasonal opening), amusements, restaurant, pub, entertainment complex and laundrette. Guests can buy short stay passes from reception to use all the amenities. Wifi is available throughout the park (at a charge) or free in the complex reception area. 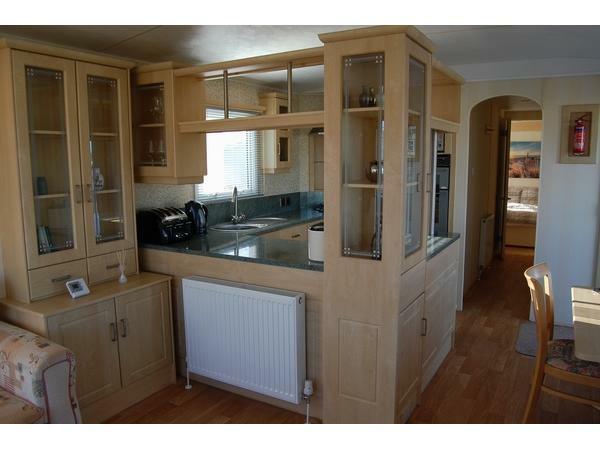 Hunstanton north beach is ten minutes' walk from the caravan. There is a large Tesco and a family-friendly pub, open all day, just outside the park gates. Hunstanton is the gateway to the beautiful North Norfolk coast, with unspoilt beaches, award winning pubs, the royal Sandringham estate, and towns such as Wells-next-the-Sea and Burnham Market close by. 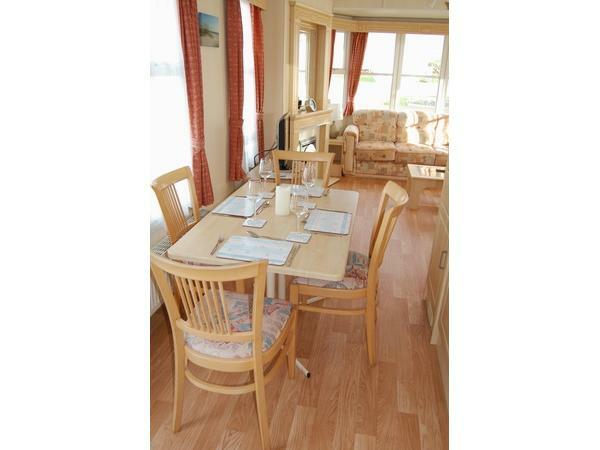 Hunny Dunes has a large, spacious open-plan living area with two three-seater sofas, TV and DVD player, and free-standing dining table with four chairs. 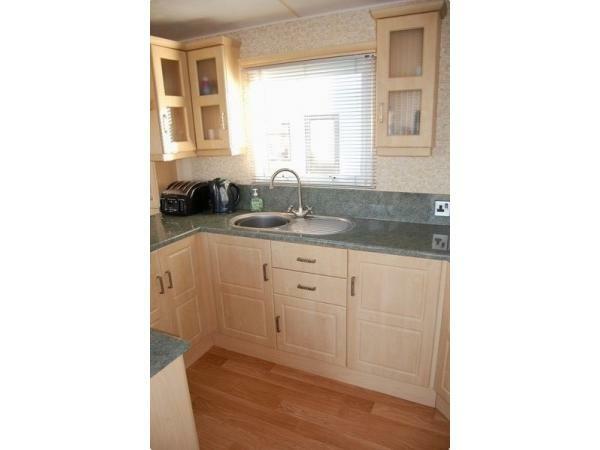 The kitchen area is equipped with full-sized four ring gas hob, gas cooker and grill, microwave, fridge with freezer compartment and ample crockery, utensils etc. 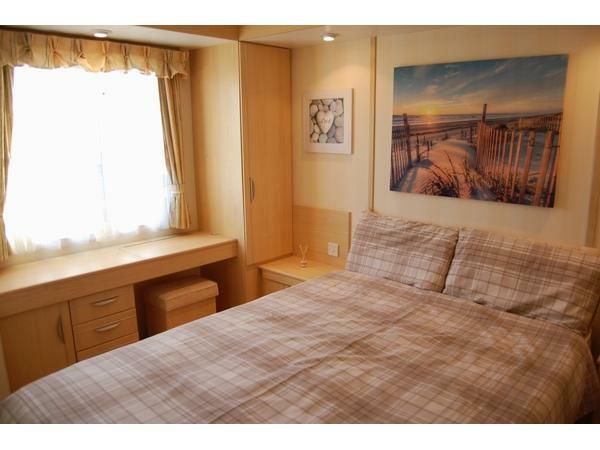 There are two bedrooms, the main is double, with extensive wardrobe space, dressing table and bedside cabinets; the second is a twin, with wardrobes, cupboards and overhead lockers. 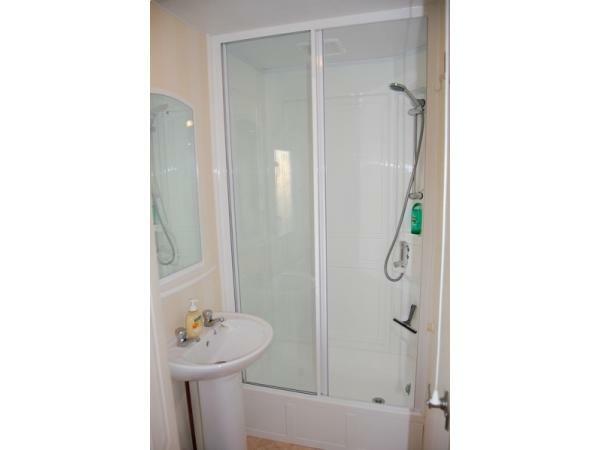 The shower room (shower, WC and hand basin) is Jack and Jill style - with doors both to the hallway and en-suite to the main bedroom . 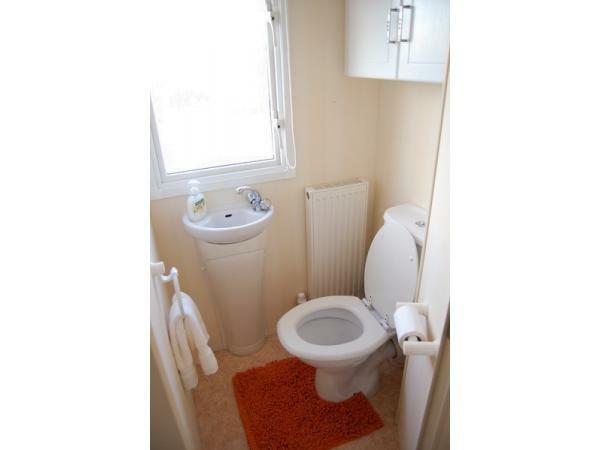 There is a second cloakroom with WC and hand basin. 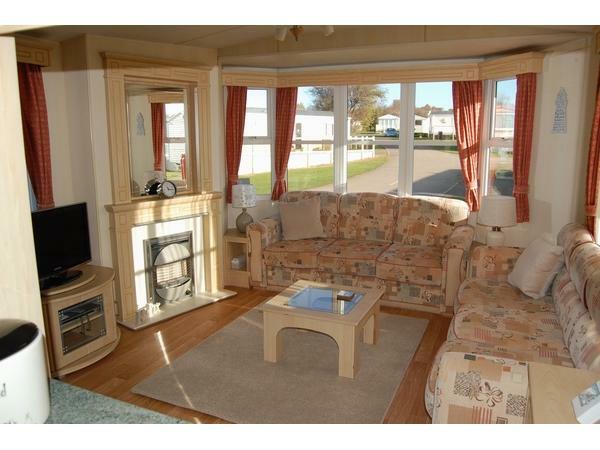 There is double glazing and gas central heating throughout, plus a free-standing gas fire in the sitting area. A comprehensive welcome/information folder is provided, along with a selection of tourist attraction leaflets. There is also a small selection of books and games. 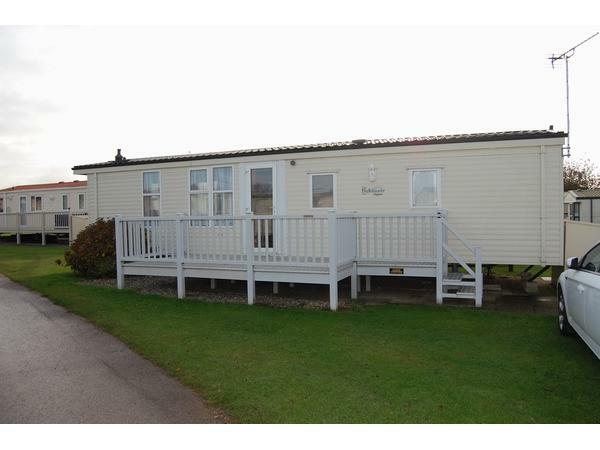 Outside, the caravan has a fully enclosed decking area, with patio table, four chairs, parasol and two sun loungers. There is parking for two cars. We are pleased to welcome ONE well-behaved, fully house-trained dog, subject to the usual conditions regarding keeping them off furniture and beds. 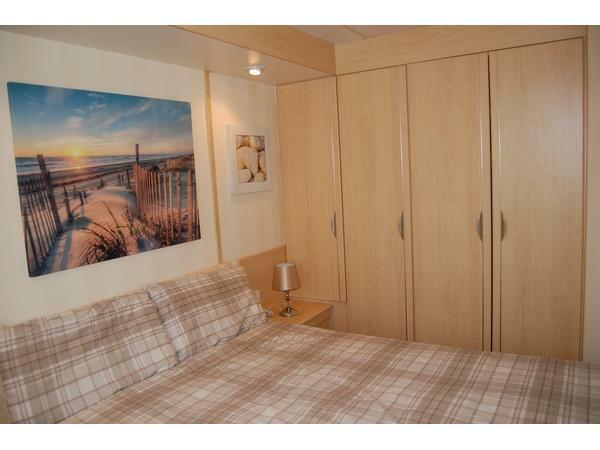 Prices include bed linen and towels, and beds are made up ready for arrival. We also provide a small supply of coffee, tea and sugar to start you off, plus a pint of fresh milk and a welcome gift. 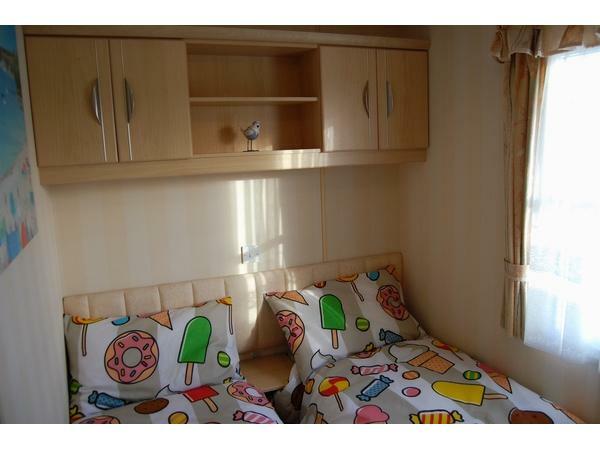 Hunny Dunes is lovely caravan where Racheal and Marc have thought of everything you might need to make your break as enjoyable as possible . The caravan was spotless on our arrival with a welcome gift ( which the wife drank) which was a lovely surprise . We will definitely return , hopefully for longer next time . Many thanks for taking the time to post this lovely review. We will be very pleased to welcome you back again in the future. Many thanks for taking the time to write this lovely review for us, it is very much appreciated. We are so pleased you enjoyed your stay at Hunny Dunes and we hope to be able to welcome you back in the future.